Nice brick/stone home in Kyle that back to open space. Located in a great residential community complete with community pool just 30 minutes from the center of Austin and 20 minutes from San Marcos. 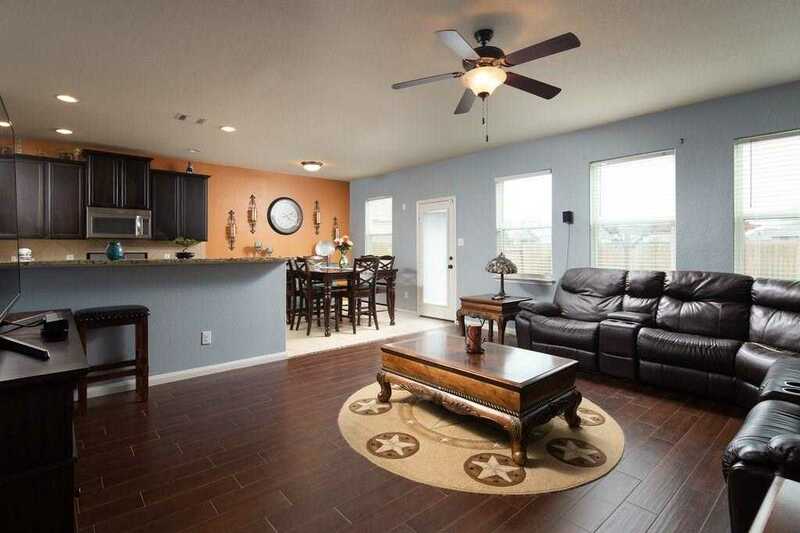 Inside, you’ll love the large family room, with rich wood-look tile flooring, open to the kitchen. The kitchen, with it’s granite counters and stainless steel appliances, features a breakfast bar and large eating area. Rest easy in the large master bedroom with two walk-in closets! Please, send me more information on this property: MLS# 1328617 – $224,900 – 1476 Treeta Trl, Kyle, TX 78640. I would like to schedule a private showing for this property: MLS# 1328617 – $224,900 – 1476 Treeta Trl, Kyle, TX 78640.